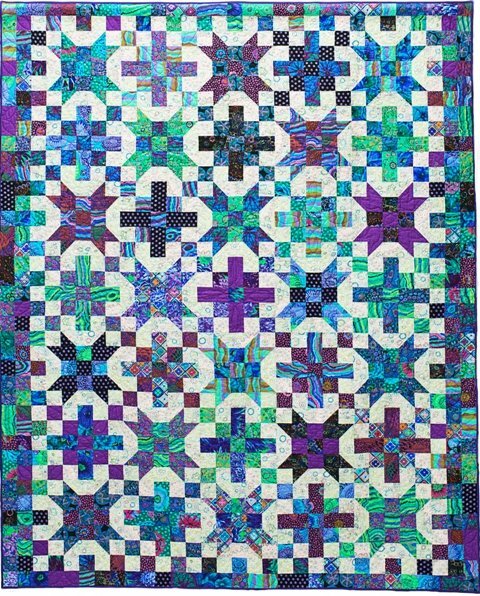 This fun two-block quilt has two size options. The small quilt is 70" x 88" and the large quilt is 92" x 110" (quilt photo shows the smaller quilt). We used 18 assorted prints plus one background for the smaller quilt or 16 assorted prints plus one background for the larger quilt. We've included instructions in the pattern for "cutting from your stash" if you prefer. All instructions are for rotary cutting and machine piecing.